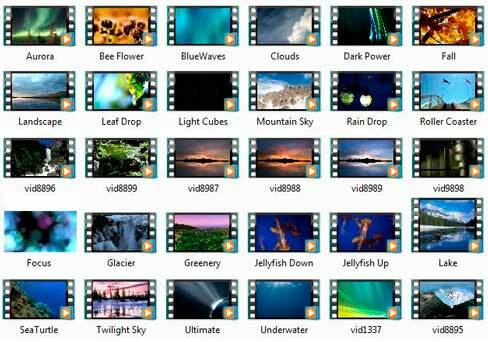 Dreamscene (animated/video wallpapers) patch for Windows Vista Home Premium and Business edition! Download NonUltimateDreamScene.zip and unpack the archive content to a folder. Right click on InstallDreamScene.bat and select “Run as Administrator” to install Windows DreamScene on your non-Ultimate version of Vista. Answer “Y” to continue. You can also open elevated command prompt with administrator rights and type InstallDreamScene.bat to execute the batch script. Restart your computer. If you don't know how to get permission of systrem files in Vista, then using TakeControl can make the process easy. Read the Steps. You can take help from this Video Tutorial on DreamScene Patch. After installing this patch, Click Here for some HD videos for DreamScene. If you are still having problem in installing the patch then please read the comments for the help. Update: Razorblade has released the final DreamScene version for non-Ultimate, English language, and working for both 32 and 64 bits. It better works having SP1 installed (because its themecpl.dll supports DreamScene). It's the same installation method (a batch file), but please read the Readme.txt file first. Update 2: Razorblade has posted a separate thread for DreamScene 'patch' for non-Ultimate editions. [CLICK HERE] You can download the patch and post your queries there. O sweet, thanks for the link. Oh My God....It really works on My Vista Business....Rocking!!! Lol what'd I tell you? It really works on My Vista Business....Rocking!!! Thanks for the confirmation. I'll give it a try. Here are the steps to take the ownership of files...but take backup of these files for safety purposes...or just rename the files again, by removing "original" from the end of the name in case of any issues, although it should not happen. 1. At the command prompt, input takeown /f filepath (takeown /f c:\windows\system32\themecpl.dll). 4. Now input icacls filepath /grant yourusername:f (icacls c:\windows\system32\themecpl.dll /grant user:f). You will now be able to modify or replace the file. Repeat the steps for all the files. When you are done, simply remove the permissions to keep the file secure. still can't seen to get this working even after taking ownership. Well...it worked for me quite easily...what problem are you facing? Wow, this goes straight to the front page. Could it be...? I can't believe it! YES! Well seriously, everyone knew it was going to happen sooner or later. Should the .dream files work with this patch? Make sure the Aero theme is enabled, coz Dreamscene requires Aero to be enabled. Sadly, but no, since DeskScapes requires Windows Vista to install. Unless you have vista ultimate, the installer wont run. Well then where can I find some really great videos? Wow, this works great, except that it messes up taskmanager - it always shows 100% CPU, but my computer is running normally. It will also say explorer.exe is using about 55,000-90,000Kb memory, I'd say just ignore it.